When Lane Coolman's car is bashed from behind on the road to the Florida Keys, what appears to be an ordinary accident is anything but. Behind the wheel of the other car is Merry Mansfield--the eponymous Razor Girl--and the crash scam is only the beginning of events that spiral crazily out of control in this comic novel. Carl Hiaasen’s irresistible Razor Girl meets his usual sky-high standards for elegance, craziness and mike-drop humor. But this election-year novel is exceptionally timely, too ... [a] wonderfully overstocked book ... Finally, Mr. Hiaasen’s dialogue is too good to go unmentioned. 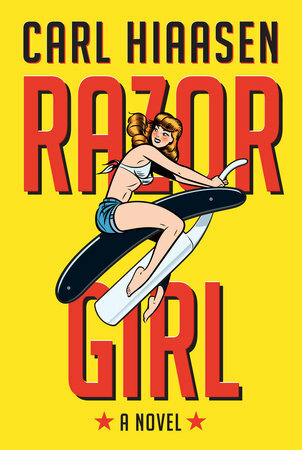 It’s a classic Hiaasen setup, and Razor Girl delivers on it with seasoned, professional ease. The dialogue somehow sounds believable even at its most deadpan hilarious, and the multi-pronged satire — of Florida, corrupt cops, bumbling criminals and, most exquisitely, the entertainment industry — is gentle but merciless. ...at turns gleefully obscene, shockingly violent and riotously funny. In other words, it's Carl Hiaasen doing what he does best ... 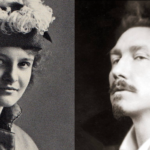 In the hands of another author, Razor Girl could have turned out shambolic and confused. But Hiaasen is a gifted storyteller who knows that the key to keeping readers engaged is a mixture of suspense and humor. What did you think of Razor Girl?